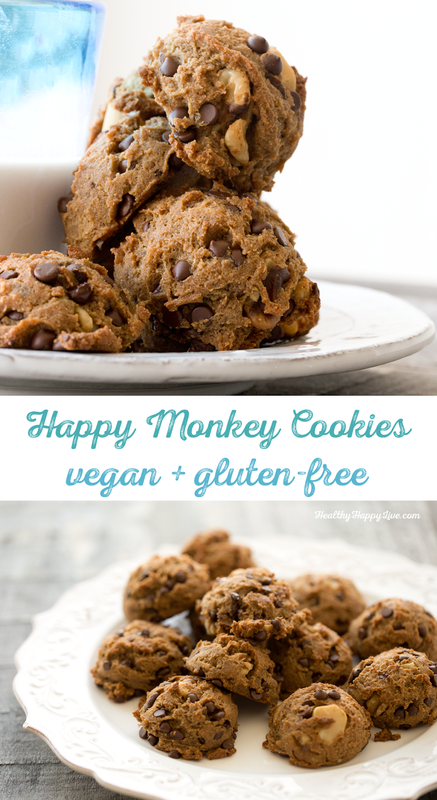 These chunky, cheerful, vegan, gluten-free Happy Monkey Cookies are totally worth messing up your clean kitchen over. Yup, baking can be a flour-splattering, dishwasher-filling job, but in the end homemade cookies are sooooo worth it. 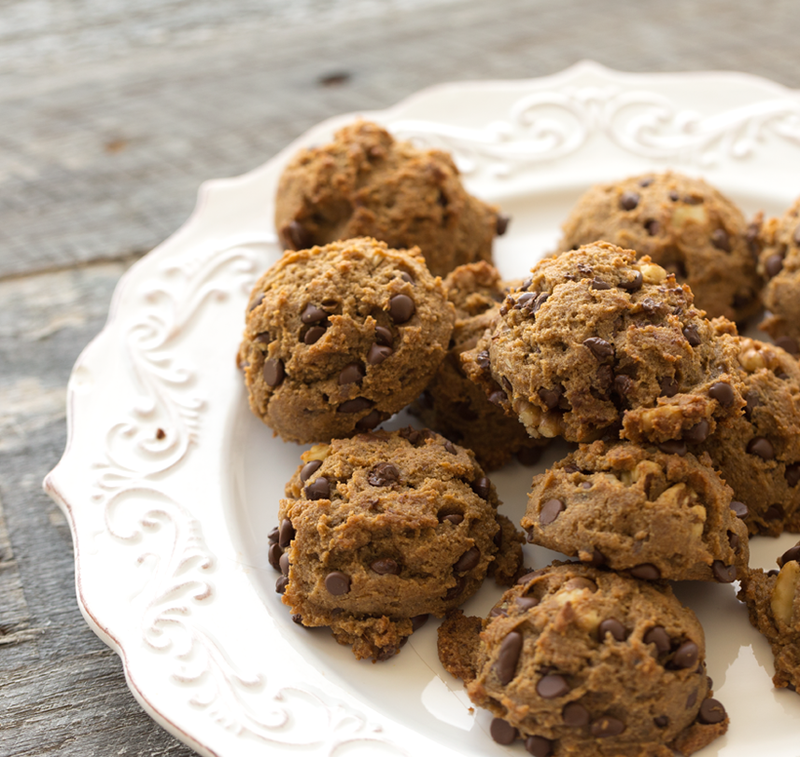 Each plump, rounded cookie is studded with vegan chocolate chips, walnuts and Brazil nuts. With a hint of tropical banana, vanilla bean and coconut in every dunkable bite. 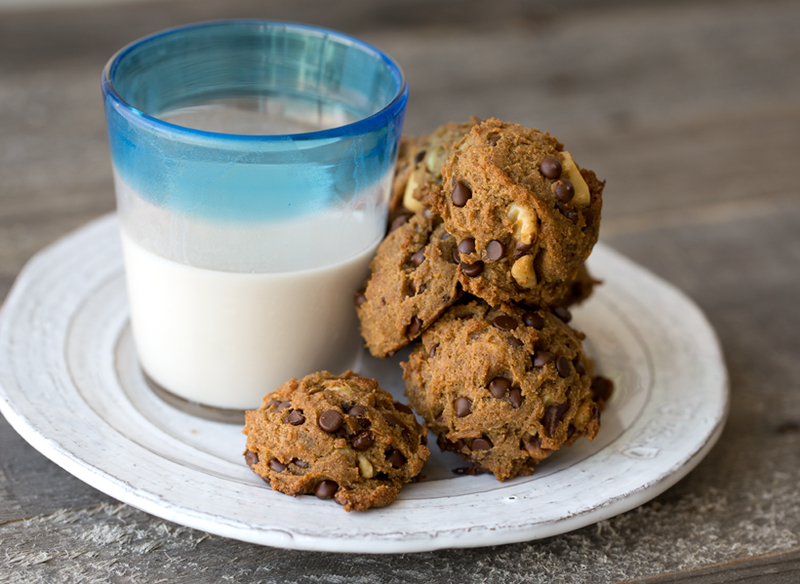 As you will see in my video for this recipe, these cookies are perfect for dunking into a tall glass of almond milk. They are sturdy and chewy, and do not crumble apart. 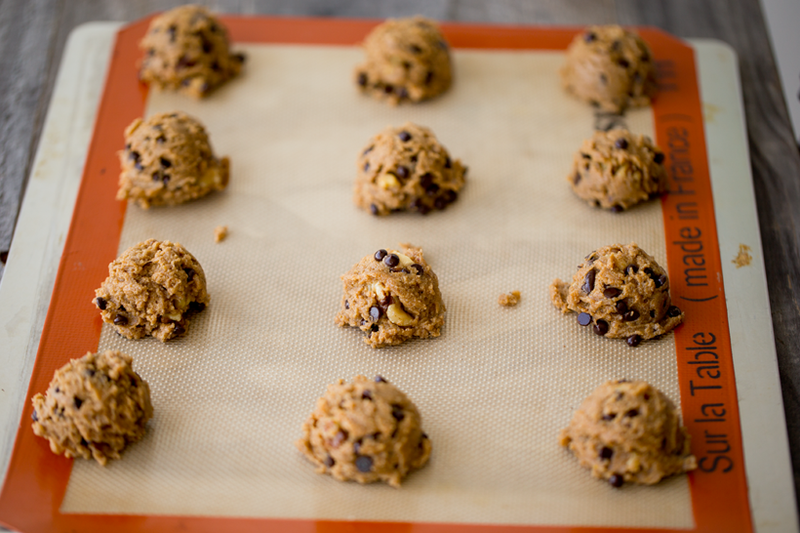 And I love that they kinda look like giant balls of cookie dough. Loved these! Get the recipe + watch me make them in a video!.. 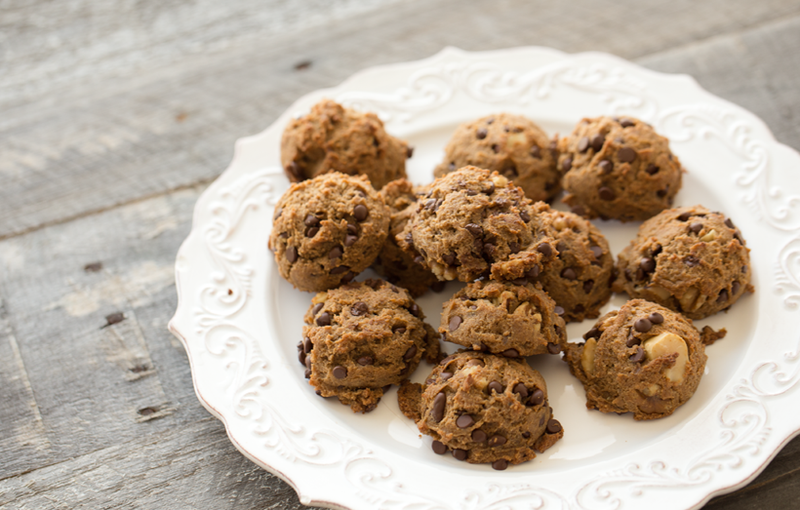 These are my spin on a "Chunky Monkey" flavored cookie. 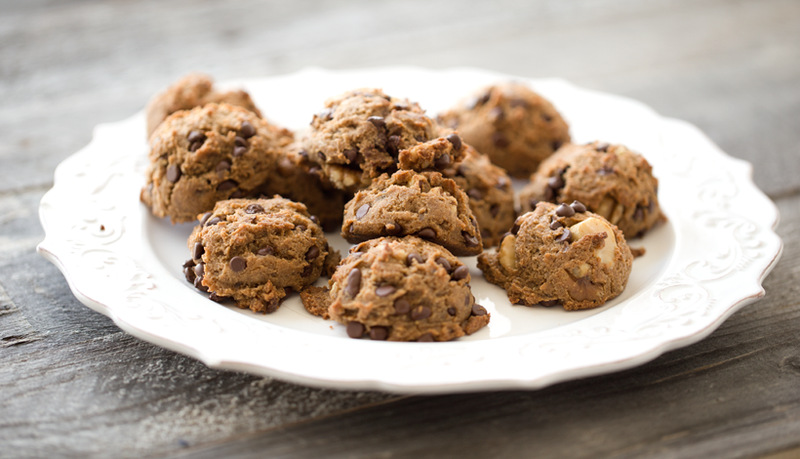 With chunky walnuts and Brazil nuts, chocolate chips and a hint of banana, coconut and vanilla bean. ...speaking of chunky monkey.. I am still endlessly searching for the vegan Ben & Jerry's flavors. Hope they come to my part of Los Angeles soon. Has anyone tried them yet? Fave flavor? Giant chunks of my two fave nuts.. walnut and selenium-rich Brazil nuts. These are my spin on a "chunky monkey" flavor. With walnuts, Brazil nuts, banana, chocolate, cinnamon and vanilla bean. Vegan, gluten-free and soy-free too! In a blender, combine all the wet ingredients. Stir the wet into the dry. Then fold in the remaining 1/2 cup of flour. Add a little more of less if you think your dough needs it. Bake at 350 for 12-15 minutes. Serve warm. Store leftovers on counter for up to a day -- then store in fridge or freezer. 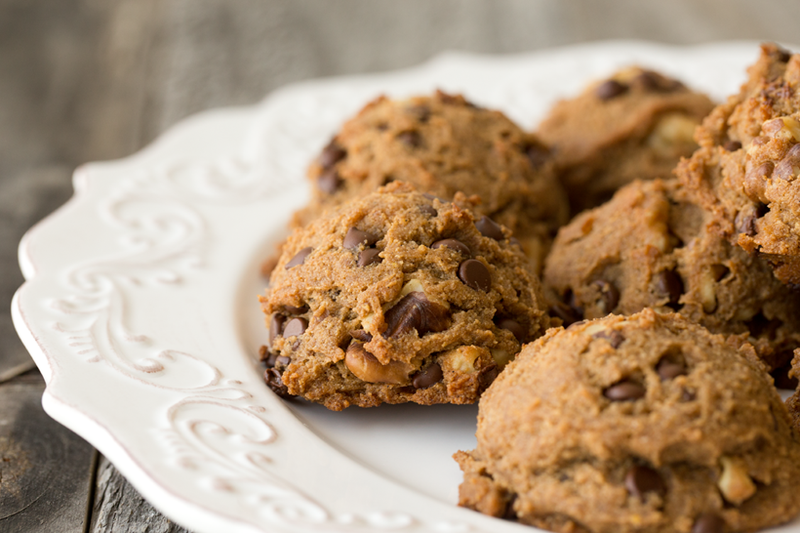 - What amazing cookie flavor have you baked lately? - Have you been watching Fuller House on Netflix? I seriously love it. 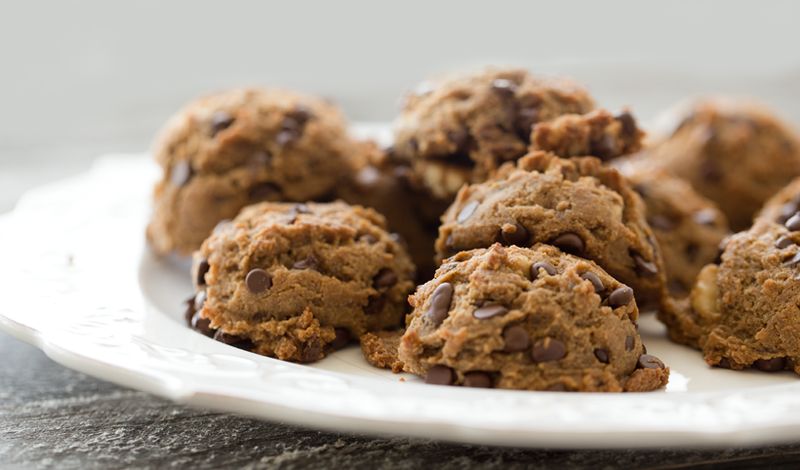 These cookies + Fuller House = flashback to every day after school as a kid! ps. Do not forget to enter my $500 cash giveaway going on now! Excited to award one of you guys this fantastic prize!